The Mini-Rambo control board by Ultimachine is a smaller, more compact version of the RAMBo control electronics board used to control many of the RepRap-based 3D printers. Designed by the maker of the original RAMBo and RAMPS electronics, the Mini-Rambo 3D printer electronics board combines an Arduino MEGA and 4 stepper drivers into a tiny package. This Mini-Rambo control board is a direct replacement for the electronics board within the LulzBot Mini and can be used in a variety of DIY RepRap-style 3D printers. 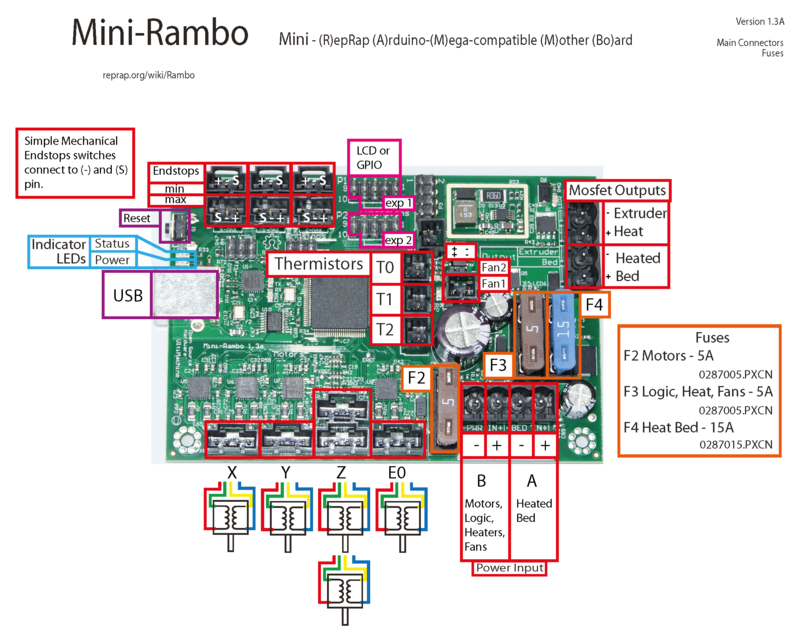 As a direct replacement for the LulzBot Mini control electronics, the Mini-Rambo v1.3a features three built in automotive-style blade fuses to protect the control board from shorts or damage from the heated bed, the stepper motors, hot end, and fans. Advanced users can install a Graphical LCD Controller or other accessories through the GPIO/LCD headers to add functionality to their 3D printer. The Mini-Rambo is designed to work perfectly with the current generation of RAMPs compatible firmware, with Marlin as the recommended choice. Note: This version includes LCD/GPIO header pins.